Last week, we saw that Jesus is the Shepherd and the Gate of the sheep. He knows His sheep in a deep and intimate way. Jesus wants His flock to have freedom and the fullness of life that we can only get from Him. Jesus when He walked the earth was “fully Man,” because He was sinless. Jesus wants to keep bringing us to that fullness. Only in Jesus’ care and within the boundary of His Word can we be safe and flourish. Humans hear many voices. This is why it is important to know the Word of God so we follow only Jesus’ Word. The Word and the leading of the Spirit will guide us, lead us, gather us, teach us and direct us. It will also protect us when we remain within the Word’s boundaries. Jesus has spoken of His abundant life. Now He speaks of willingly sacrificing His own life, so we can have His abundant life. “I am the Good Shepherd. The Good Shepherd lays down His life for the sheep.” John 10:11 Why does the Good Shepherd lay down His life? – “for the sheep.” Jesus later said in John 15:13, “Greater love has no one than this, than to lay down one’s life for his friend. You are My friends if you do whatever I command you. No longer do I call you servants, for a servant does not know what his master is doing; but I have called you friends, for all things that I heard from My Father, I have made known to you. John 15:13-15 Jesus was talking with the 12 Apostles. These 12 had a closer and more intimate relationship with Jesus because they had been following and walking with Jesus for 3 ½ years. They had learned from Him during this time and obeyed Him. The distinguishing mark of Christ is He willingly out of love for His Father and for His sheep died on the cross to save us and lead us in a caring, loving and watchful way. We are the sheep of His pasture – the Anointed Word of God. As I have taught many times, David is a type and shadow of Christ. He was a shepherd in his father’s field who became a conquering king with a kingdom. David had a close and intimate relationship with the Lord. He had a deep and abiding faith in God. 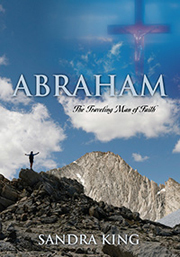 God had tried and tested David many times to strengthen him for God’s call on David’s life. He was to be God’s ruler over His people. David knew that Goliath was not just defying the armies of Israel, but also the Lord God Almighty. God would give David the victory. Jesus also gave us the victory over God’s enemy and ours – Satan – on the cross of Calvary. As David didn’t trust just in himself to bring the victory, followers of Christ must trust in Him and His power and might to give us the victory over the devil. Jesus is the Shepherd of all shepherds!